TARGID is a major producer of fruit juice concentrates, fruit purees/pulp, puree/pulp concentrates and FTNF aromas/flavors in Turkey. With an ever expanding product and internationally known regular clients portfolio, TARGID is a very reputable worldwide supplier for fruit juice, baby food, jam, bakery, and natural food coloring industries since 1993. With an ever increasing exports market, TARGID sales have grown over the years and currently exports %60 of its production to 23 different countries. TARGID employs 55 permanent staff, and an additional 100 during the high season. In order to support the local community, TARGID gives priority to recruit its workforce from the nearby neighborhoods. An increase in female staff ratio is especially targeted, which is currently at %30. We estimate that as a result of the recent investments, our staff number will increase as high as 200 by 2015. The waste water treatment plant of TARGID has been built and fully operational as of Summer 2013. TARGID has completed its water recycling project in Summer 2013; and along with the waste water treatment facility, the average water footprint is aimed to decrase by %25. Acknowledging that the young generations are the assurance of our future, every year TARGID supports the neighborhood schools and the successful students, especially the children of our employees. 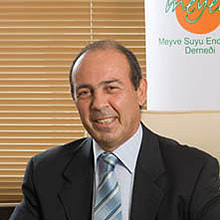 He is a chemical engineer with MBA and he has maintained the presidency of MEYED (Turkish Fruit Juice Association) for over 2 periods between the years of 2009 and 2012. 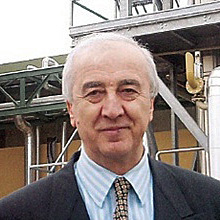 He is also a chemical engineer and the chairman of MEYED Technical comitee and Mersin Food&Agriculture Platform. 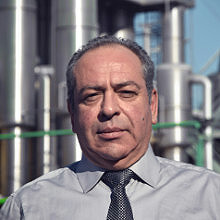 He is a food engineer and the chairman of MEYED Agricultural Operations Group. He has a Journalism degree and is the Administrative Director of our company.